What an incredible conference!! Even though it seems every year we say, “This was the best conference ever,” I truly believe 2018’s was THE BEST CONFERENCE EVER!! The presentations and panels were amazing and informative. The lunches decadent. And, the networking, I can’t say enough about that. A little birdie told me that several of our attendees who pitched the three publishers we had available now have contracts in the works. The rest of us? Well, we have so many more resources and new friends. An on-line writer’s group is being planned too. There are also many more new “Award-winning Authors.” It really was an incredible time. There was even a bridal shower. If you were able to make it, we had such fun and thank you for helping make it so successful. For those who couldn’t make it, we hope to see you next year, July 18-21, 2019 in Las Vegas. If that seems like too far away, there are a number of things that you can be doing right now. Check out our new website design. Take advantage of the one-time manuscript review, just one of the benefits to your PSWA membership. Utilize the listserv to ask all your pressing writing and public safety questions. Get your published and non-published writing in order to submit to the 2019 Writing Contest opening in January. Really, just write, write, write. Even with all the recent beautiful changes in my life, I’m still finding time to write. After all, it often feels like the characters and the stories insist on coming into the light and being shared. Writing really is a calling and a gift. With that, I’ll close this short and sweet message and get back to work. Hope you do as well. Well, it’s official: the 2018 PSWA Conference was one of the best ever. Despite a bunch of unfortunate late cancellations, our “Baker’s Dozen” conference went off without a hitch. Things began with the Pre-Conference Workshop, which also proved to be exceptional by all accounts. The small group of writers met and discussed writing techniques and several of the attendees had one-on-one critiques sessions with the workshop’s three instructors on manuscripts that had been previously submitted. The purpose of the workshop is to enhance your writing ability and to learn new things. Everyone who attended it, including the instructors, agreed that it was a learning experience. Things then officially began with our traditional check-in procedure at three o’clock where I met a few new attendees, which is a special pleasure. I love being able to put a face with a name, especially after having exchanged a few emails. The evening’s get acquainted party followed at five-forty-five, and that’s always a lot of fun. The next morning, bright and not so early (nine A.M.) our president, Michelle Perin, started the ball rolling with her opening remarks and a bit of an update on the organization. 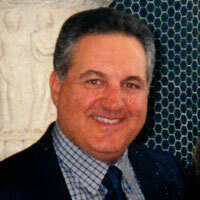 Then Master of Ceremonies and Vice President, John Schembra, announced that we were ready to begin. After John’s welcoming speech, we were ready for our first presenter, former LAPD homicide detective and mystery writer, Mike Brandt, who gave our first solo presentation, Developing Your Characters—100 Things You Should Know. I actually learned more than 100 things, but I figured Mike was giving us more bang for the buck, so I didn’t say anything. Anyway, it was a great one. After a short break we got into our morning of panels, leading off with one on weapons (something every writer should be aware of) with commentary from Dave Knop, Dave Freedland, Bob Doerr, and Bob Calkins. Hmm, even though John Schembra moderated that one, it must have been confusing when someone had a question for Bob or Dave. Okay, a comedian I’m not, but Romancing the Scene, and Austin Camacho did a great job moderating the entertaining panel with Thonie Hevron, Rena Winters, Barbara Lloyd, Jennifer Severino, and Mike Orenduff. Then it was time for the first of our fabulous luncheons. I purposely scheduled the next panel, given by Gloria Casale and Janet Greger, after lunch, because it dealt with the rather indelicate topic of poisons. As these ladies said, “A Little Knowledge Can Be Poisonous,” and they proceeded to prove it. Whew, I’m glad they’re on my side. The afternoon panels talked about the nonfiction writing market, the differences between jurisdictions (including military and civilian policing) with Bob Doerr, Jack Miller, Scott Decker, Mike Brandt, and Pete Klismet. The day ended with me moderating a panel of three experienced writers, Marilyn Meredith, Mar Preston, and Susan Tuttle about point of view. That brought things to a close for the day, and the attendees were left to their own devices, except those who volunteered to be part of our radio play. For them, I brought out the metaphorical whip and cracked it a few times while they were rehearsing. Luckily, nobody paid any attention to me and the rehearsal went very well. Afterward, Pete Klismet hosted the newcomer’s dinner at the Prime Rib restaurant in the Orleans. I wasn’t there, but from all reports it was a fiesta grande por todo. Saturday morning was off to a rocking start as Susan Tuttle gave an excellent solo presentation on the Art of Self-Editing. Susan wowed everyone with her lecture, which was made even more amazing by the fact that she’d been in the hospital recovering from an illness almost right up until the conference. I wanted to ask her if she had a Supergirl emblem on during the presentation, but I didn’t want to interrupt. I was too busy taking notes. The panels on Saturday were a bunch of fun topics starting off with our publisher’s corner, with commentary by Austin Camacho, Geno Munari, and Mike Orenduff. While Austin has been a semi-regular at the last two conferences and is always fun and informative, we were exceptionally grateful as well to Mike Orenduff and his lovely wife who made the long journey from their east coast home in Georgia to attend. And the always entertaining and informative Geno, who heads up Houdini Press, deserves a special thanks for printing up our PSWA Conference program booklet. It looked great, as usual. After delivering their take on what’s new in publishing, the panelists broke into separate sections of the big room and listened to pitches for possible writing projects. After lunch, we had a pair of special heroes for our next presentation on the Las Vegas Shooting. Paramedic Anthony Ribone, who was actually at the concert when the madman opened fire, gave us a first-hand account of his heroic actions to treat the wounded during the attack. One of the more seriously wounded was Anthony’s own brother, whose life was saved due to Anthony’s quick action. While the nation was shocked by the horrendous occurrence, our own Keith Bettinger sprang into action the next day gathering a group of stalwart volunteers who went to the scene to set up support stations for the police officers who had to guard the massive crime scene around the clock until it was processed and cleared. This was one of the most riveting presentations we’ve ever had at the conference and both men received a standing ovation from the audience for their efforts. 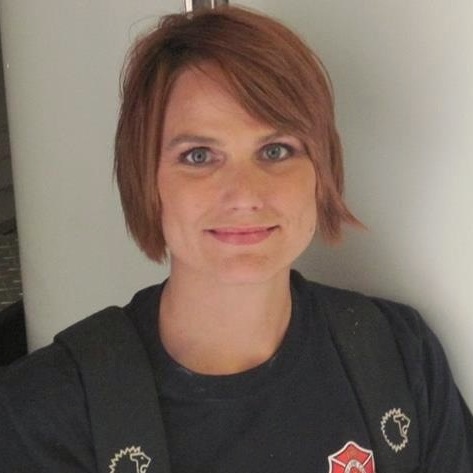 Anthony stayed to be on a panel about firefighting, which included firefighter/EMT Michelle Perin and retired Detroit City Fireman Robert Haig. Mar Preston, whose California home has been threatened by raving wildfires and who works in a volunteer support group, rounded out the panel. Thonie Hevron, who’s no stranger to emergency services herself, provided excellent moderating duties. 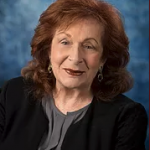 Marilyn Meredith then moderated a panel on Writing Groups that featured an equally balanced, pro/con group of its own: Rena Winters, Rabbi Ilene Schneider, James Guigli, Barbara Hodges, and Barbara Lloyd. Half the group liked writers group, and half didn’t. As usual, Marilyn handled the moderation with the aplomb of a diplomat. I then moderated a panel on officer-involved shootings, which featured some of the real-life experiences of some of our heroic members, Dave Knop, Dave Freedland, Keith Bettinger, Tim Dees, and Mike Brandt. Dr. Ellen Kirschman, who treats the psychological wounds that such incidents may cause, was also there to offer her commentary and suggestions on coping techniques. Finally, it was time for the highly anticipated radio play. This year’s play once again featured Steve Scarborough as the redoubtable sleuth in a play that I had a major hand in rewriting. Tim Dees once again provided the sound effects and they were hilarious. The play was followed by a bridal shower for our PSWA president, Michelle, who will most likely have tied the knot with her soon-to-be husband, Matt, by the time you read this. Congratulations and best wishes to both of them. Sunday had some interesting panels about bad boys and girls in your writing, the ins and outs of testifying in court, and beginnings and endings. These funny and informative sessions were followed by our Writing Contest Awards Luncheon. It was a nifty ceremony that honored some really fine writers. As you can know if you were there, and as you can surmise by reading this if you weren’t, a good time was had by all. We’re already planning the next one, which will once again be at the Orleans on July 18 -21, 2019. This one is already shaping up to be extra special so keep your eyes open and on the website for some advance notifications of what’s to come. Take it from me, number 14 will be another one for the record books. During the course of a year the PSWA membership number stays fairly steady, between 120 to 125. We lose a few who choose not to renew for various reasons, or who just do not reply to the renewal emails I send out and are subsequently dropped from the rolls. On the other hand, we gain a few every year that offsets the loss. I would like to see the organization membership grow and to do that, each of our members must make an effort to recruit potential new members. I don’t think this will result in a bounty of new members, but it is reasonable to expect at least a 5% increase a year. Many of us attend more than one conference, book fair, or author event in a year’s time and that presents a good opportunity to inform other authors, or potential authors, of the advantages of belonging to the PSWA. I’ve found that word of mouth is an effective way to recruit new members. We all should be actively talking up our organization at those events. I’ve written before about the PSWA business cards that you can give away or have placed in goodie bags. I still have lots of the cards and ask that if you are attending an event let me know and I will send you some. 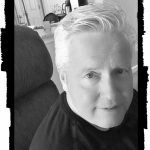 As an example, I attend at least a half dozen book fairs, craft fairs, or author events each year and during those events, I talk with other authors, and potential authors, about writing and/or publishing. I make sure to give them one, or a few, of the PSWA cards and tell them all about us and our conference. Every new member could bring fresh ideas, expertise, and hopefully, enthusiasm to the organization. It is important to continue to have a vibrant, engaged membership and for that to happen, an active recruitment of new, and perhaps younger, members is critical. Another way you can help is to send me an email with any recruitment ideas or strategies you may have. I will be sure to bring them up for discussion at our board meeting in February. One last thing–if you don’t know when your membership is up and needs to be renewed, don’t worry. You will get an email reminder from me with an invoice. I only ask that you either renew in a timely manner, or reply that you have chosen not to renew. With a positive recruitment effort, we can assure that the PSWA will continue to be the best public safety writer’s organization. Now in its 4th year, the PSWA Pre-Conference Workshop offers attendees the opportunity to spend most of the day focusing on writing skills. Whether you are new to the game or have published a series or two, every writer needs to spend time exercising his or her writing muscles. For $35, you can attend a 9AM-3PM workshop (ending just in time to pick up your badge for the main conference). This year we’re focusing on short stories—how to write them, how to get them published, and how they can help your career even if your main focus is longer forms. For details, see the PSWA Website. Dave Freedland will teach us all about SWAT training and practices, and share stories about the missions he and his team undertook for the Irvine Police Department. 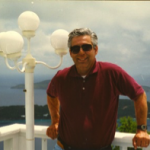 John Schembra, our PSWA Vice President, will help us understand how to drive while in pursuit or responding to an emergency. The most dangerous thing mot emergency responders and police officers do during a shift is drive. 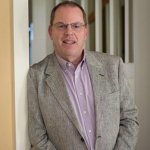 Mike Orenduff will explain how he went from an unknown at the 2009 PSWA conference to being a best-selling author who can move 10,000 units before publication day! For details, see the PSWA website. For the purpose of this scenario, let’s assume you’re a female with a purse. But gentlemen, other than having a wallet in your pants instead of a purse, everything else pretty much applies. Think about how many times you have done this? You are driving your car and need to stop at a gas station to fill up. Your gas tank is at the right rear of your car. Stopping next to the pumps, you turn off the engine and leave your key in the ignition. You then take-out your credit card from your purse. Exiting the car, you move to the right rear, remove the gas cap, and face the pump to insert the credit card and pertinent information in order to retrieve the hose and start pumping gas. Something you’ve done hundreds of times. Routine, isn’t it? During the 30-60 seconds you are focused on the gas pump, with your back to the driver’s car door, a car thief opens your driver door, locks all the doors, and starts the engine. Sometimes the thief has an accomplice posing as a homeless person begging for change, or someone needing a light for a cigarette, or some other ruse to distract you even longer. The thief speeds off with you left wide-mouthed screaming in disbelief, and the gas pump in your hand. Your immediate reaction is to call 9-1-1, right? Oh yeah, can’t do that because your cell phone is still in the car, along with your purse and its contents; wallet, cash, and other debit/credit cards. So you run inside the station to get assistance in calling the police. But after calling the police, what do you do? Do you think far enough ahead to call your credit card companies, the bank’s security for missing debit cards? Where do you get their phone numbers? Whose phone will you use? Meanwhile, if I were the thief, here is what happens within the next hour while you are stranded at the gas station. I’d drive a few blocks away, stop the car, and pick up a prearranged accomplice who quickly puts on a different rear license plate…one from another vehicle which isn’t “hot” (stolen). While he is doing that, I am stripping-off my outer T-shirt; wearing a different color one that I had underneath, and throwing away the baseball style cap and sunglasses that I was wearing. I also ditch your cell phone, just in case you have a GPS tracking device installed. As we continue driving away, my accomplice rummages through your purse, collecting anything of value, and then dumps the purse out the window. (Don’t want to be stopped by the police with two guys in possession of a woman’s purse.) We find your driver’s license which exposes your home address. Of course, the car registration, proof of insurance, or old dealer service papers that you leave in the glove compartment will also give your home address. Proceeding to your home address, but parking down the street out of sight, my accomplice walks to the front door and knocks. If someone answers, he says he has the wrong house and leaves. If nobody answers, we use the automatic roll-up, overhead garage door opener (manual or pre-programmed into the car’s accessory system) and raise the garage door. Now my accomplice and I have the option of entering the house through the small garage door (which 9 out of 10 times is unlocked), or simply burglarize items from the garage itself; golf clubs, tools, etc. This will only take a few minutes before we load up the car and leave; being thoughtful burglars and closing the overhead garage door. Before we ditch your car, we proceed to a location where we unload our stash. Then we use some of your remaining credit cards found in your purse for whatever we desire. Driving to a remote location, we remove the “cold” license plate and drive away in our own vehicle. So, what’s the easiest crime reduction technique that would have prevented this? When you gas your car…TAKE YOUR KEY and LOCK YOUR CAR DOORS WITH WINDOWS ROLLED-UP! Let me point you to this long lithub article by Francine Prose about the need to write clearly. For mystery writers, clarity is an essential tool. It makes the reader think you’re giving them the straight story, when, of course, you’re not. You have to hide the fact that you’re only letting them see what you want them to see. Getting the words right, making the text clear, isn’t easy. Prose excerpts letters from Chekhov to the young Maxim Gorky in which he suggests (advice frequently resurrected now 120 years later) that Gorky dispense with excessive modifiers. “The brain can’t grasp all of this at once,” Chekhov says, “and the art of fiction ought to be immediately, instantaneously graspable.” Simplification is one key to finding my way out of brambly sentences too. And if a whack through the brush can’t find the kernel, well, that’s why I have a delete key. Simplification isn’t the only path to clarity. Prose cites long and grammatically complex sentences of Virginia Woolf’s that, though they require an attentive reader, are nevertheless clear. The noted editor Harold Evans provides “ten shortcuts to making yourself clear” in his entertaining and helpful book on “why writing well matters.” His book in its entirety is about giving writers the tools to unravel knotty prose. Prose suggests writers ask themselves, “Would I say this?” She doesn’t mean they should write exactly the way they would speak (eavesdropping reveals why), but that “they avoid, in their writing, anything they would not say out loud to another human being.” In her brand new book, What to Read and Why, she discusses some of her favorite writers and what makes their work enduring, along with an essay specifically “On Clarity.” She says, “Clarity is not only a literary quality but a spiritual one, involving, as it does, compassion for the reader. 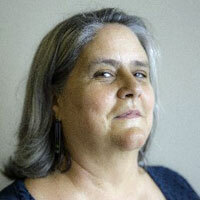 Jane Friedman is a nationally recognized expert on business strategy for authors and publishers. She gave a two-plus hour talk for the NorCal MWA group, and we all took notes frantically as she spoke about how to help readers find your book, and how to encourage them to pull the trigger and buy your book. The advice clustered around three main topics: search, website, social media, and a few overall comments about the call to action you need to give people who encounter your work. Our goal is to get a buyer’s attention, interest them, and then persuade them to take an action that we define (the call to action). Freebies are the most common way of attracting attention. There are a number of ways to get publicity distributing free content: Bookbub, The Fussy Librarian, and others. Why give away something for free? Well, if you have 3 or 30 books published, giving away the first in a series or first in a set of books in the same genre often drives up sales of the other books. So if people aren’t buying your first ebook anymore, you may make more money by giving it away for a period of time, because readers will read it, then go look for your other books. One author, Scott Sigler, built a huge audience by giving away one chapter of his book at a time. You may think of creative ways to give away content to attract attention (that you can turn into sales), or pursue one of the methods mentioned above. Jane recommends that you do what you are comfortable with–and always keep in mind whether the audience for your books visits the places where you are trying to attract attention. Our job is to attract the leads (people) most likely to want to buy our books, and spend as little time/money as possible on people who aren’t every going to buy our books. How you do that can take some figuring out. Once you’ve people’s attention, use your website, newsletter, and social media writing to build their interest, so they decide to buy your work. This is almost always more effective than a direct-sales pitch “Hi! Buy my book!”. Newsletters and social media posts should make it easy for people to visit your website and buy your book. Monthly or quarterly to avoid spamming people who sign up. Invite people to sign up whenever you go speak, in social media posts, and of course on your website. Then you write things of value to the reader (tidbits about your life, news about coming books and appearances, your thoughts on whatever your readers find interesting. There are programs to help you manage newsletters like https://www.mailerlite.com/ or https://mailchimp.com/pricing/. Remember that there are laws governing mass mailing via Internet, so if you don’t use one of these services, make sure you are aware of the rules. Don’t make people read white text on a black background, as it’s very hard to read. Yes, even if you write thrillers or noir, find a dark theme but don’t go full black background and white text. For example, notice on bestseller Gregg Hurwitz’ site, the black is broken up with color: https://gregghurwitz.net/. However, notice that the text toward the bottom of the page is incredibly hard to read. Compare that site to another best seller, James Rollins: https://jamesrollins.com/. Notice how the theme is still dark enough to communicate his genre, but most of the text you read is black. Always include these elements: a page for your books (page title = book or series title for best search results), a contacts page, a place to sign up for the newsletter (see Gigi Pandian’s page: gigipandian.com), a bio page, and an events page (if you speak or appear anywhere). Be sure to include buttons for all your social media channels if you use them. Also, always include buttons to retailer pages (example: http://robinburcell.com/). People like to push buttons more than clicking links. You should make it easy for them to buy as soon as they feel the urge. You can put an unofficial bio after the regular bio (which people will copy and paste for reviews). That unofficial bio can have a more informal tone and be playful or funny if you write that way. The call to action, ‘buy my book,’ ‘sign up for my newsletter,’ ‘follow me on social media,’ etc., should be customer focused. That is, be clear about what you are offering to the reader and why it is of value to them, and do it in your voice. Readers want to connect with you and your writing, so make that easy. For an illustration of most of the topics covered here, visit PSWA Member Bob Calkin’s website. Jane said that “social media is very volatile right now,” referring to member backlashes against Facebook and Twitter, related to election interference, abuse of user privacy, and other issues. So if you haven’t dived into the world of social media, it won’t hurt much to stay on the sidelines until things settle down. That said, she also suggested that you can open accounts on the “big five:” Facebook, Twitter, Instagram, Pinterest, and Goodreads, and even if you don’t post often, the accounts will be there when you are ready to use them. Jane mentioned that she opened an Instagram account and ignored it for two years. When she went back, she had a few thousand followers! If you are active on social media, remember direct selling “buy my book!” isn’t as effective as sharing content that will draw people to your books and website. People find things by searching for them on the Internet, mostly using Google. So do everything you can to ensure Google can find your site and rank it as high as possible. This is also true for the metadata you enter in Amazon (if you self-publish). Make sure you are describing your book using the words that most people use to describe books of your genre. For example, Jane mentioned a client who called her book a “new adult urban fantasy.” But no one on the internet called books of her type that—they called them vampire books. When her client changed the language on her web page and in the description (metadata) on Amazon, her sales improved. How do you know what people call things? Look up books on Amazon similar to your own, and see how they are categorized. Also, the list of genres on goodreads.com can be a good indicator. For example, I’m writing a book about a fraud investigator. When I search for the term “fraud investigator mystery,” nothing is returned with that phrase, but quite a few “private investigator” links come back. So I might want to describe my book as “in the private investigator tradition” or “female private investigator”. On a whim, I looked up “financial mystery novels” and a LOT of results came back, unlike five years ago when I had done a similar search. I likely want to use that phrase in metadata as well. Note: What is metadata? Any human or machine-readable text that describes a thing. So nearly every word in a book’s Amazon listing is some kind of metadata. When you or your publisher distribute your book, you or they fill in a lot of online forms with metadta: book title, author, description, ISBN number, publication date, genres, subgenres, “suitable for age X” information. I easily spent a day or two just filling in metadata forms for the charity anthology I published last summer. You don’t have to do one, but if you do (and there is some benefit in terms of getting attention and interesting new leads), host it on your website or connect it to your website. Having a blog and website on different properties splits the traffic and therefore may lower your SEO ranking. Google may think you’re twice as interesting if all the traffic goes to one site. Writers, whether self-published or traditionally published, can do many things to improve their reach without spending a fortune. Also, every writer’s story is different, so what worked for Scott Sigler a decade ago might not work for you or me today. Jane recommends trying a few things, and sticking with what works–until it doesn’t work anymore. Jane Friedman offers free advice and for-fee books, classes, and personal consulting on her site. Dana Kaye is a passionate publicist who has worked with a number of mystery writers, and her book, Your Book, Your Brand, helped me create a marketing plan for my charity anthology. 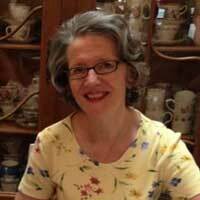 Joanne Penn is well known in the self-publishing community and also offers free advice and for-fee books, classes, and personal consulting from her website. Of course, you should never give anyone money to help you sell your book without fully vetting them. There are a lot of con artists out there in the world. This is just one article detailing a scam that ensnared Penguin Books and many unsuspecting writers. Be careful out there, and good luck with your marketing plans! I’m investigating a new, unique and inexpensive way to advertise my books. Growing up in Portland, OR, I listened to KISN Radio, the Mighty 91, broadcasting from a glass studio in the city’s downtown area. KISN was one of the first rock ‘n roll stations to hit the Portland airwaves, and was the go-to station for every hip teenager of the era. The station eventually ran afoul of some FCC rules and was taken off the air in the 1970’s. A group of former employees and broadcast enthusiasts has revived the station in the form of a low-power, non-commercial FM station. They’re playing the same music and have even located some of the better commercials from the era. The products might no longer exist, but the commercials are a trip down memory lane. As a non-commercial station, they’re allowed to fundraise through “underwriting.” You’ve no doubt heard similar announcements on NPR: “This hour of programming funded by Honeywell, maker of thermostats and other home automation equipment.” Underwriting announcements can inform, but they can’t have a call to action such as “Buy Today!” They also can’t have qualitative statements like “the best books around.” But you can still plug your product pretty effectively. For $100/month, I get four underwriting announcements per day all month long. While the audience might be small, I target grandparents for my kids’ books so the demographic is spot on. And they’re exceptionally loyal listeners. I’d recommend checking out any such stations in your area, especially if the programming somehow aligns with the nature or style of your books. I always liked the movie West Side Story and not just because I was in love with Natalie Wood. I loved the music and the dancing. I’ve probably seen the movie 6 or 7 times. One of the opening numbers is a song by Russ Tamblyn who plays Riff, the leader of the gang known as the Jets. Well, I’ve changed the lyrics a little to fit law enforcement. The song in the movie was known as the Jet Song and starts off with “When you’re a Jet, you’re a Jet all the way.” Ladies, girls were not allowed in the Jets’ gang, so their song is geared toward the male gender. My adaptation doesn’t change that. Writing a mystery book or series is akin to putting together a puzzle with a thousand pieces. Where should you begin? Do you start the puzzle with the corner and edge pieces, providing details on the main characters including the heroes and criminals? Or do you start in the middle, revealing upfront the murder and complexity of the story plot? Whether you start with corners, or center pieces, what matters is sticking with your structure and then pacing the plot. You need to keep it moving forward by creating suspense with clues and mysterious happenings. In the television mystery series, “Columbo,” the murder always took place at the beginning of the story. The seemingly flustered but persistent detective follows various suspects and clues to eventually catch the murderer. In other television mysteries, you follow the path of an ordinary citizen—writer, baker, doctor, librarian, or florist—who is captivated by certain events and incidentally gets involved in solving crimes. These amateurs just can’t seem to help themselves, even when following the clue leads them to danger. From these types of mysteries known as cozies, to film noir with gangsters and hard-boiled detectives, to terrifying thrillers, mysteries have long appealed to the reader and viewer. As a writer, you can choose your own style, your own way of creating characters and stories of murders and mayhem, and your own way of presenting clues and suspects leading toward solving the crime. Yet, there are certain elements essential to a good mystery, which can take the reader on a fascinating ride through a criminal’s mind and the minds of those who reach into that mind to catch them. You want your reader to become involved and interested in your story so they follow the clues you leave, and they attempt to solve the crimes along with you. Don’t make it too easy: There should be a number of possible suspects. Enhance the plot with character conflict and red herrings that might confuse and steer the reader away from the real murderer. The bad guy can also lead the reader astray by placing suspicion and blame on someone else. A good mystery story includes: an intriguing plot, interesting characters (often with unique characteristics), descriptive places and locations that set a mood, interesting and controversial dialogue, clues (real and false) leading to the bad guys (and gals), and a bit of humor. Be clear about your point of view. Is it from the perspective of the main character as in Sue Grafton novels or a third person as in Raymond Chandler mysteries? 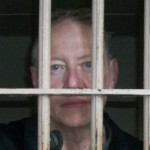 Ultimately, you want to be able to explain your characters’ motivation for their criminal behavior. Common sources are anger, hate, power, money and, of course, revenge. Revealing truths, secrets and lies with stories of betrayal and vengeance with surprise endings leave your reading wanting more—especially in a series! I grew up in an unusual, and sometimes outrageous, environment. It wouldn’t take a genius, a psychiatrist, or a palm reader to figure out the genesis of my fascination with crime and criminals. 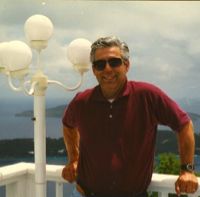 In my series, The Senior Sleuths, Zero the Bookie is a version of my dad, and several other characters are based on a few of his many associates. Our history and experiences can define us, inspire our actions, and, as writers, impact our words and stories. Mine most definitely have. My father was a small-time gangster. Really! No doubt, thanks to my father, writing mysteries is in my DNA. 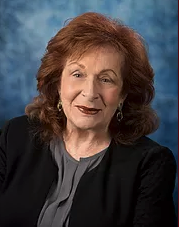 Marcia Rosen has previously published four books in her mystery series, “Dying to Be Beautiful.” Rosen is also the author of “The Woman’s Business Therapist” and “My Memoir Workbook.” She was the founder, and for many years, owner of a successful Marketing and Public Relations Agency, created several radio and TV talk shows, and received numerous awards for her work with business and professional women. Member Sisters In Crime, LA and SF, PSWA, and Board Member NWBA/SF and also a member of The Mob Museum. She currently resides in Carmel, California. For more information, visit www.theseniorsleuths.com and www.levelbestbooks.com. There are many things we can’t control in police work, but health is something that, in large measure, we can control. Being healthy and fit allows us to not only live longer, but perform our job easier and more efficiently. Most people know how much they weigh, but that number alone doesn’t tell the whole story. Your health is predicated on a number of factors, height being one of them. Body mass index, or BMI, is an indicator of whether or not you are healthy at your weight and height. BMI is calculated by taking a person’s weight in kilograms and dividing it by the square of height in meters. Sound complicated? Not to worry. Simply use the adult BMI calculator provided by the Centers for Disease Control and Prevention. Just plug in your height in feet and inches, along with your weight in pounds, and the BMI is automatically calculated for you. BMI helps to broadly define different weight groups in men and women 20 years old and older. The same numbers apply to both genders. Healthcare professionals are inclined to use BMI to help determine if a patient has a weight problem. Using the index provides an estimate of total body fat for most people, but not all. Muscle weighs more than fat, therefore muscular people like bodybuilders may have a high BMI, but that doesn’t necessarily mean they are overweight. In the case of older patients who may have lost muscle mass due to aging, their BMI may appear normal when they could actually benefit from gaining some weight. Research has consistently shown that people with a high BMI have a greater risk of serious health problems—heart disease, diabetes, and certain cancers. Logically, most people whose BMIs are high are, in fact, overweight or obese. Thus the diseases are a product of too much weight. However, when we use the word “most,” things become more complicated. Body mass index doesn’t factor in things such as bone structure, gender, genetics, or conditions such as osteoporosis. And it’s not an accurate indicator of how much fat one is carrying around. As we said, some athletes and bodybuilders will have a high BMI without being overweight or obese. The American Cancer Society says that BMI, while giving a good estimate of total body fat for most people, doesn’t work well for all. However, it is a good way for many adults to get an idea of healthy weight ranges. The ACS advises there are other things to consider when judging how much someone should weigh. A health care provider might use other factors such as skinfold thickness, waist size, nutrition, family health history, and other factors when assessing risk based on a person’s weight. While being overweight is certainly a concern, much more serious is being obese. Obesity is a complex disorder because it’s more than a cosmetic concern. Obesity leads to serious health problems such as heart disease, diabetes, and high blood pressure. BMI readings of 30 or higher indicate obesity. Simply stated, obesity occurs when someone eats more calories than they can burn through exercise and daily activities. The unburned calories are stored in the body as fat. While inactivity and a sedentary lifestyle can lead to obesity, most law enforcement folks will gain weight through an unhealthy diet and poor eating habits. The main offenders are fast food, high-calorie beverages, and excessive alcohol consumption. Add oversized portions and a diet lacking in fruits and vegetables to the mix and obesity becomes a reality. There are other risk factors such as genetics. Genes may play a role in how efficiently your body converts food into energy and how it burns calories during exercise. Medical problems may also play a role. Some medications, including antidepressants, anti-seizure, diabetes, antipsychotics, steroids, and beta blockers may also cause weight gain. Quitting smoking often leads to weight gain, but the long-term benefits of being a non-smoker are a greater benefit to one’s health. Lack of sleep or too much sleep may also contribute to weight gain because it can cause changes in hormones that increase your appetite. Having one or more of the above risk factors doesn’t mean you will become obese. Watching your diet, increasing physical activity, and changing behavior can help you avoid becoming obese. While obesity can occur at any age, older folks are easily susceptible to weight gain. A less active lifestyle, coupled with hormonal changes and a decrease in muscle mass, leads to a decrease in metabolism. These changes also reduce calorie needs, making it more difficult to keep off excess weight. It’s imperative to consciously control what one eats and remain physically active to avoid weight gain. Being overweight, particularly if you’re obese, negatively affects one’s quality of life. You may not be able to do things you used to enjoy, and you may avoid some public places such as swimming pools and beaches. Other quality of life issues may include: depression, disability, sexual problems, shame and guilt, social isolation, and lower work achievement. How do you prevent becoming obese? Regular exercise as simple as walking and swimming. Following a healthy eating plan focusing on low-calorie, nutrient dense foods like fruits, veggies, and whole grains. Avoiding saturated fat and limiting sweets and alcohol. Monitoring weight regularly by weighing yourself once a week. Being consistent—sticking to your plan not only during the week, but also on weekends, vacations, and holidays. 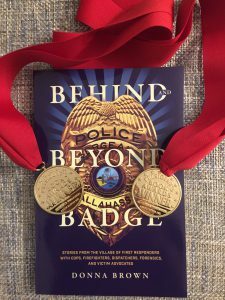 The Annual 2018 Florida Authors and Publishers Association President’s Book Awards recognized Behind and Beyond the Badge by Donna Brown, a retired police sergeant, in the category of Adult Nonfiction, as a Gold medal winner. Hosted by the Florida Authors and Publishers Association, this prestigious national award is open to books published between 2017 and 2018. The judges for this national competition are librarians, educators, and publishing professionals. 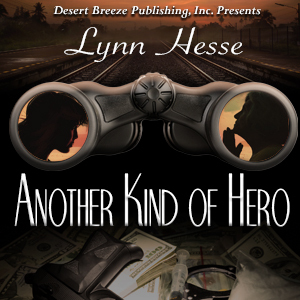 Lynn Hesse reports her book, Another Kind of Hero, is in the running for the Silver Fanchion award at Killer Nashville. Another Kind of Hero, ISBN: 978-1-68294-879-8, also won first My three mysteries have recently been published in a second edition by Aakenbaaken & Kent. They are published as the Deputy Allred & Apache Policeman Victor Series, and include: The Wham Curse, Saints & Sinners (PSWA 2nd Place), and The Baleful Owl. 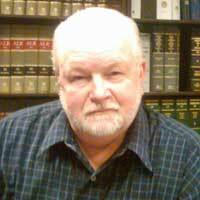 Virgil Alexander reports his three mysteries have recently been published in a second edition by Aakenbaaken & Kent. They are published as the Deputy Allred & Apache Policeman Victor Series, and include: The Wham Curse, Saints & Sinners (PSWA 2nd Place), and The Baleful Owl. 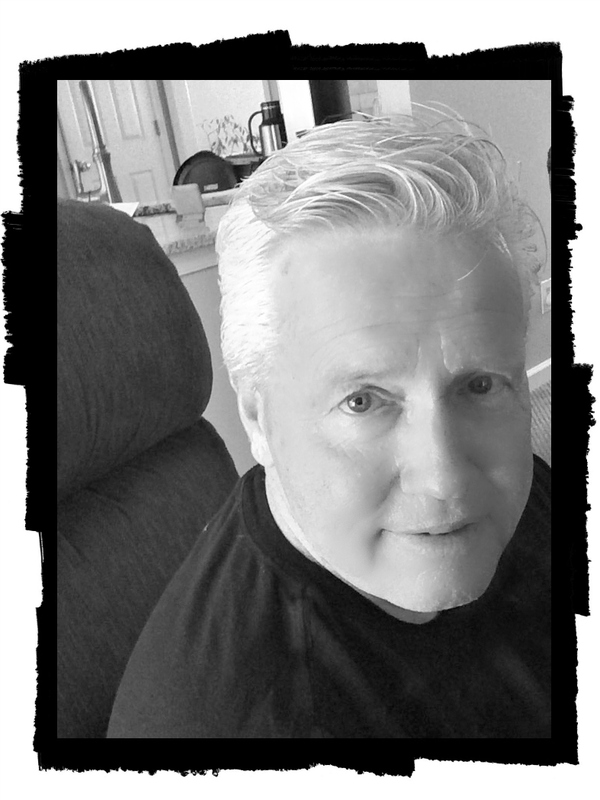 His new mystery, Murder in Copper, the fourth book in the series is in final edit and is expected to be published in September. Virgil Alexander also had a story on Gila County Sheriff Alf Edwards and the sensational murder of Ted Grosh in 1923 in the Copper Corridor Gateway Magazine, and was an editor and wrote the foreword for, Miami, A History…, also published by Aakenbaaken & Kent in the spring of this year. Scott Decker reports Recounting the Anthrax Attacks is long-listed for Chanticleer’s Journey Award for Narrative Non-Fiction and Memoir. 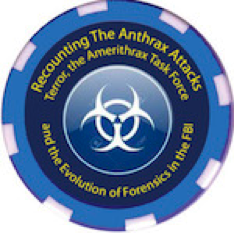 Recounting the Anthrax Attacks also won this year’s Book Excellence Award for True Crime. 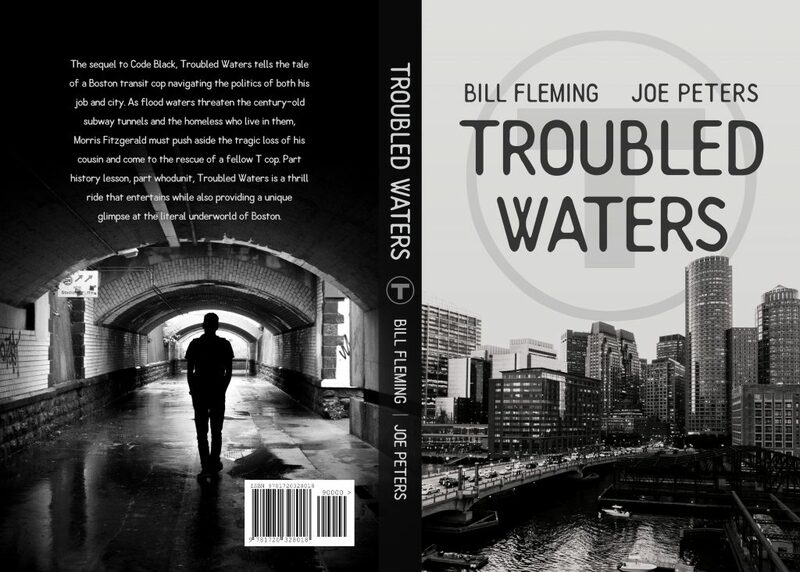 The sequel to Code Black, Troubled Waters by William Fleming, tells the tale of a Boston Transit cop navigating the politics of both his job and city. As flood waters threaten the century-old subway tunnels and the homeless who live in them, Morris Fitzgerald must push aside the tragic loss of his cousin and come to the rescue of a fellow T-cop. Part history lesson, part whodunit, Troubled Waters is a thrill ride that entertains while also providing a unique glimpse at the literal underworld of Boston.